Twilio, Nutanix and other $1 bln-plus tech startups risk running short of cash as venture capital starts to dry up. A recent revival of initial public offerings may offer them new hope. Company valuations may drop, but that beats the alternative of a suddenly thinning herd. 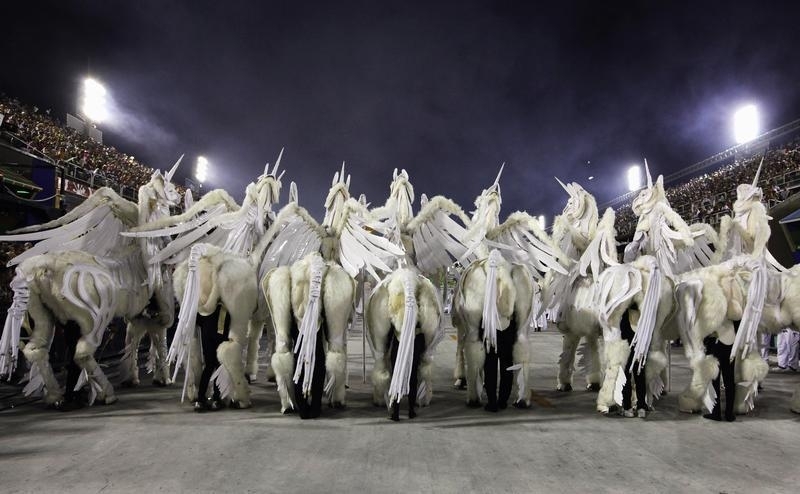 Revellers in unicorn costumes in Rio de Janeiro's Sambadrome February 21, 2012. There were 15 initial public offerings on U.S. stock markets priced in May, according to Renaissance Capital. There were eight in the first three months of the year. Two information technology companies, Acacia Communications and SecureWorks, have gone public in 2016.